The Transport for London government body ((TfL) announced that they would not renew Uber’s private hire operator license after the 30th of September 2017. This decision, which shocked many, has serious consequences on the people of London. 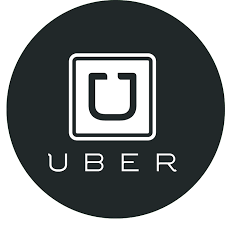 The ruling was as a result of previous cases, where Uber failed to report serious criminal offences, and declare how it carried out criminal background checks on its employees. What Is Next For Uber? The new regulation issued could potentially put close to forty thousand drivers out of their jobs if their appeal doesn’t work. It also inconveniences many Uber customers who have grown fond of its cheap and efficient transportation around the city. It will, however, be a lesson to any corporate company that does not put the safety and security of its customers as a priority, that there are consequences to this. Uber launched its services in London in July 2013 and transformed the taxi business. The transportation sector in London, however, has not been without conflict. More people stopped using the black cabs in favour of Uber vehicles, and this led to protests, accusations and demonstrations in the city. The company has been accused of not adhering to the transport laws and currently, it’s license is revoked. The company chief executive has issued a statement saying that they must act with integrity and that there is a high cost to a bad reputation. This is a chance for Uber to go back to the drawing board, do things the right way and take responsibility for their previous actions. Settling on a driving school is not as easy as many tend to think. A reference from a friend or relative who has recently aced their driving test is not enough. A lot more needs to be taken into consideration if you are going to reap benefits and turn out to be an excellent driver. Being human, we all want to achieve the best with the least possible amount of hassle. It is for this reason when choosing a driving school; it is best to carefully consider where they are located. This way, you can access them very easily and quickly from home or work. It also ensures you do not lag behind in the other aspects of your life, when in pursuit of this important driving license. Looking at the Instructor qualifications before settling on a driving school is key. No one wants to fail their driving test just because their Instructor was underqualified. Instructors are in two classes. ADI (Approved Driving Instructor) who display a green badge in their car, and PDI (Potential Driving Instructor) who display a pink badge. If they do not have either, then think twice before considering them. Other considerations need to include the tuition fees charged, just to be certain they are in your budget range. Also personal considerations should be put into perspective, as driving requires individuals who can handle the pressure of being on the road for the first time. If you have looked at all these areas and are content with your choice, then you can start on your path to being an exceptional driver! 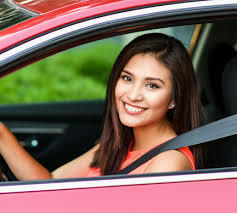 On this homepage we will present you with all alternatives of different driving schools and courses that you can take within the london area. We will also discuss various topics surrounding anything driving-related. For example rule changes and what to think about when you are about to get your drivers license. Hope that you will enjoy the site and that it helps you achieve your goals.